Help secure liberty and prosperity for all — DONATE NOW! For three decades the Texas Public Policy Foundation has been a driving force behind Texas’ success: protecting individual liberty and securing the prosperity that characterizes the Lone Star State. More recently our national leadership in criminal justice reform and energy independence have brought acclaim. Will you join with us to show Texas and America that freedom, not more government, brings economic prosperity for all? 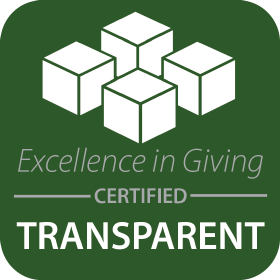 To learn more about our donor levels and perks, click here. To learn how to leave a gift through a will or trust, click here. Texas Public Policy Foundation is a non-profit organization (501(c)3), and your contribution is fully tax deductible. Thank you so much for your contribution to the Texas Public Policy Foundation and for joining with us to advance liberty not just in Texas but all across America. Thanks to friends like you, TPPF is showing the rest of the nation that free-market principles, individual liberty, and personal responsibility are the only way to secure lasting prosperity for all. With your support, we are moving the needle on key issues like child welfare, school finance reform, property taxes, criminal justice, and energy independence. A gratitude letter and tax-receipt will follow by email. Your gift will help bring a future that is brighter, bigger, and bolder to families, schoolchildren, entrepreneurs. Thank you again! Join more than 30,000 Texas conservatives and receive The Cannon daily email.